I love to write, it fills every spare thought I have. Except when I am working as a Childminder/Preschool Leader or Night time merchandiser or when I am dealing with my three grown children. I write romance with strong characters and strong story lines, all different and exciting. I hope you enjoy the books I write and one day... maybe one day I will be able to write full time. Today, I’m pleased to introduce C.R. McBride, author of Absolute Resolve and Bitter Reflections. She’s relatively new to the published author scene, but she’s already making quite a splash. Dear C.R., thank you very much for agreeing to participate in the Indie Author Spotlight. I love to create stories and characters and always have, even as a child. At Christmas, I would always make my children a gift and so my son would often receive stories about himself and his friends. Approaching my big, four zero birthday gave me a real kick up the bottom to do something, I wanted to have an achievement. I began putting pen to paper last year, 2012, and have not stopped since. 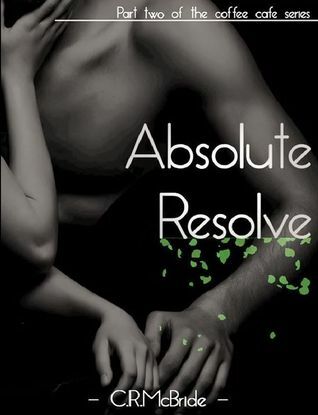 Your book Absolute Resolve is doing well, was this your first book? If not, what was your first published book and did it do well? It is the second in what I aim to be a series of six books in The Coffee Cafe series, Bitter Reflections was released in February 2012. It has been a learning curve; in self publishing there is no one to do the work for you. I did up load the unedited copy first, in error and have spent a few weeks trying to correct this but I think we are now getting there! Mistakes happen. Having said that I have had some wonderful reviews and the book is doing well despite my little hiccup and Amazon have been so helpful, no one is perfect. I first have to say that I loved writing this book; I approached it in a totally different way to Bitter Reflections and hope that my skills as a story teller developed. Nick is a new author who is struggling with his new found fame and celebrity status, after a particularly scathing interview he takes time out and retreats to the Yorkshire Dales. The Dales are a beautiful place and every time I visit I fall in love that little bit more, the colours and the people are truly unique and so it was inevitable that they feature in at least one of my books. Whilst there Nick meets Mel, a distinctive young woman who immediately attracts him, but Mel is not all she appears to be. There is a dark secret running through the village and Nick is forced to adapt and grow up quickly to help the woman he has fallen in love with. I hope that I have managed to capture some tender moments between Nick and Mel but also create dramatic scenarios that will engage my readers. How does this series (Coffee Cafe Series) differ from other Romance novels? The series is five unique stories that all connect up in the sixth; each one is taken from a different view Bitter Reflections is a woman in her thirties whose life is not living up to her expectations. Absolute Resolve is a couple in their twenties who have to overcome life’s hurdles in order to be together. Distinct Desire is a young girl fresh out of University who is struggling to maintain her own identity. A Heart Awakened is about a more mature woman, her children have left home, her husband remarried and who now feels she has no place in the world. Loves Casualties is a young woman who has been divorced and is struggling to be a single mother but also have a life. As you can see different ages, viewpoints and life stories but in the sixth book a murder will unite them all. I do love a good romance and although there are dramatic events in my books, the romance and love is always first and foremost. My stories are about strong people, they all know where they want to be in life but just need that someone to help them get there. I like to throw in some twists and turns and tell you an enjoyable, sometimes funny, sometimes sad story. I have a long way to go, I have so much to learn but I work hard for something that I love doing. I am prepared for a slow, rocky road but I intend to focus on my love and good old fashioned British stubbornness and determination. For new writer, such as myself, I cannot recommend social networking enough. The Indie Author community is a really wonderful family and I am grateful to all the authors who offer help, advice and a friendly ear. No matter what you go through there is always someone else who has been through the same thing and can offer suggestions. Whether it is an administration mistake, such as loading up an incorrect file, help with developing your characters or suggestions and opinions on book covers. I treasure the wonderful authors I have contact with and cannot emphasise enough how important that contact is. I would like to say thank you for reading and I hope you enjoy my stories, I have many thoughts in my head and they get jumbled around and self doubt floods me. Then I read a tweet or an email from a reader who has contacted me and I am filled with joy. Always contact your authors if you have enjoyed a book then let your author know - I personally love it. I hope you will stay with me throughout the series; I have some shocks in store for book six! I would love you to follow me on my website as I am always asking readers for opinions and involving you in the writing process. It still feels funny being described as an author, I do have day jobs and kids and pets but I feel like I have another life, a secret life that I share only with you guys. Thank you. I once read that you should write about what you love to read, I love romance. Not so much fluffy, gushy romance, but real life, “That could be me”, sort of reading. My bookshelves contain all of Rachel Caines books; I love the vampire Morgansville series and have all the Weather Wardens. I also have my Harry Potter collection and my Darren Shan series that has one of the best endings of a series ever! It also has a selection of spy novels, biographies and my Fifty Shades, of course! My kindle contains all my romance books; I love Jamie McGuire, IC Camilleri, Jessica Park, Caroline Easton, Rebecca Donovan, MW Russell, Tina Reber, Sylvain Reynard and Cherrie Lynn. The list is endless. Colleen Hoover and Ann Lee Miller have pride of place on my kindle as they have a wonderful way of writing `nearly but not quite` stories that have you biting your nails in anticipation. 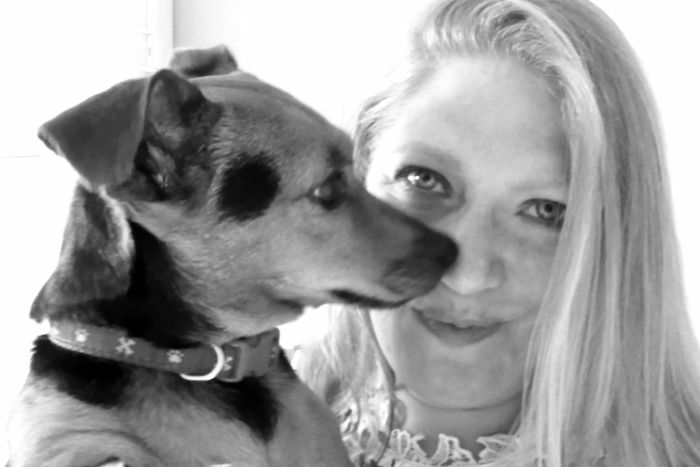 A short list of some of my loved authors is on my website on the About Me page. I write the way that I speak; I have a love of reading and so have picked up many styles along the way. As a busy woman my aim was to write books that could be fitted into the busy working day. One of my pet hates is a book with really long chapters, this means I either cannot read unless I really dedicate a few hours to it or I have to leave the book in the middle of a chapter. My chapters are short so that a natural stopping place is created. As I have said before, I am learning as I go along but I am enjoying the lesson. Life is full of variety and there is a place in the literary world for all writing. It is very difficult as there are pros and cons for both sides, I would say that I would love to have an editor and proof reader to go through my stories and polish them but I would not like to be restricted to timescales and lose control of my stories. I love the freedom of being able to write what I want to, when I want to. I believe the path to success lies in self publishing initially; you gain such an intimacy with your readers via social sites and web sites. Any success gained is all the indie authors own success and so the achievement is enormous not to mention that the rewards are all your own. If then a publishing deal comes along the indie author has more of a bargaining tool to give them more flexibility if that is the option they choose. I aim to release Distinct Desire for Christmas or maybe just before - another benefit of self publishing is flexible dates. The other books I will be releasing next year.